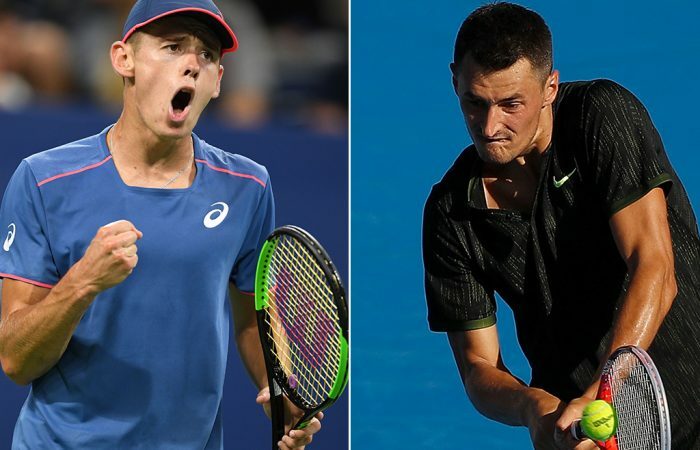 Alex De Minaur reaches his fourth ATP semifinal of 2018 in Shenzhen while in Chengdu, Bernard Tomic improved his record to 12 wins from his past 14 matches. Alex De Minaur on Friday advanced to his fourth ATP semifinal of 2018 after beating Damir Dzumhur at the Shenzhen Open. Bernard Tomic advanced to the same stage at the Chengdu Open, brushing aside promising youngster Felix Auger-Aliassime in straight sets. 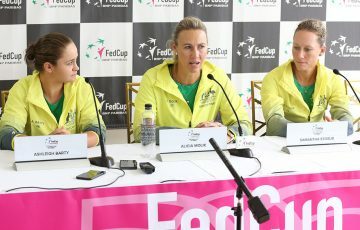 Unfortunately, Ash Barty and Matt Ebden were unable to emulate the winning ways of their compatriots. Barty served for the first set before going down 7-6(2) 6-4 to the in-form Aryna Sabalenka in the Wuhan Open semifinals, while Ebden lost in the Chengdu quarterfinals to top seed Fabio Fognini. 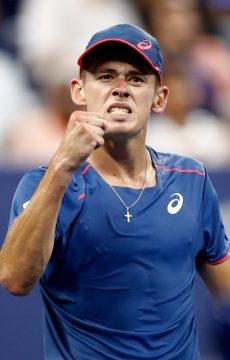 De Minaur defeated the No.4 seed 6-3 7-6(7) and will next face Frenchamn Pierre-Hugues Herbert for a place in the final. Herbert overcame Albert Ramos-Vinolas in a two hour, 40 minute grind, winning 7-6(6) 6-7(1) 6-4. De Minaur won his only previous match against Herbert in the second round at Wimbledon this year. 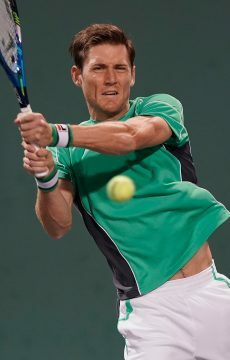 Earlier this season he reached the ATP semifinal in Brisbane and finals in Sydney and Washington DC. Tomic, meanwhile, was clinical in his dismissal of Auger-Aliassime, beating the Canadian teen in just 67 minutes. It’s his fifth victory in a row in Chengdu after beginning the week in qualifying, and improves his record to 12-2 following the US Open. The result sends him through to his second ATP semifinal this year – the first coming at ‘s-Hertogenbosch – and is expected to push him up the rankings approximately 20 places to the cusp of the world’s top 100. Tomic, currently ranked No.123, next faces Joao Sousa, a player against whom he has won all three of their previous encounters.